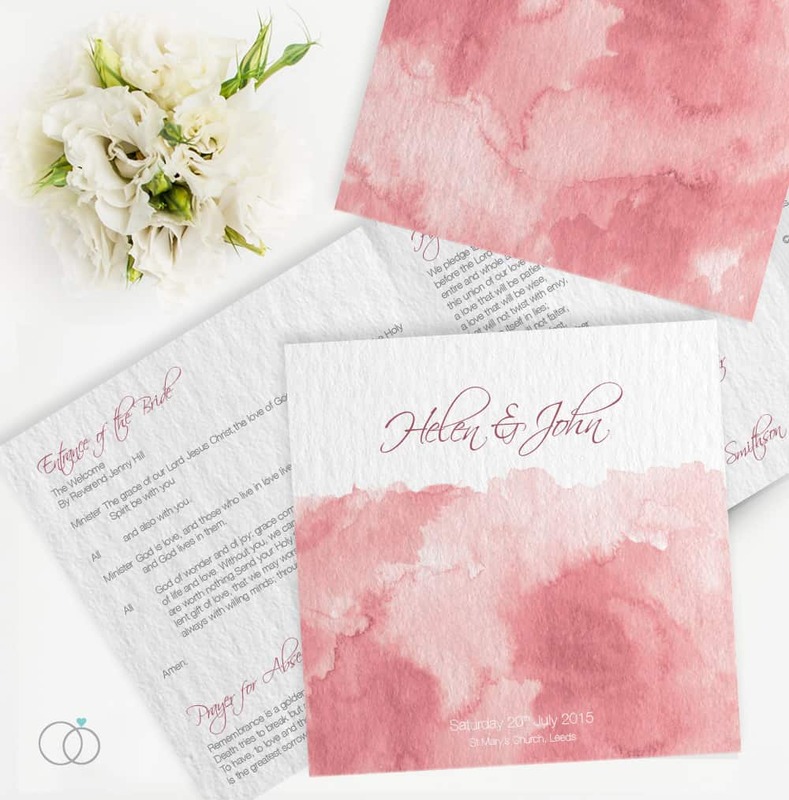 Today I wanted to share some wedding stationery collections that I have recently come across, all of which I think you are going to love and all designed by talented & friendly designer Lianne Taylor of Loveli. With over a decade of experience and keen to provide couples with a down to earth approach to wedding design, she allows them to explore exactly what they want and is able to advise them on how to bring their ideas to life. 1. I am not one to follow trends but this Watercolour Dreams set is so on point right now! I absolutely adore the hand painted feel and this particular collection is ticking all the boxes as it come in Pantones wedding colour of the year Marsala, as well my two favourite colours marine and pink. 2. Geometrics are always going to win my heart, especially when they are as adorable as this. I love the mismatched feel of this Chevron Chic collection! Anyone that deals with geometrics on a daily basis will know it is easy to overdo it with this type of theme, but this is the perfect balance of chevron and simplicity. I really love the table numbers in this set too! 3. More chevron (of course) but this time in lavender & grey, which combined creates this delicious Lavender Crush. They go together perfectly. Don’t you think? 4. Feeling lucky with this fun Very Vegas themed stationery. Pink and gold will forever be one of my favourite combos! 5. If you are looking for something not too typical vintage then check out this Modern Vintage Type collection. It’s bright, it’s bold and it’s uber modern! 6. And finally, go glamorous with the popular and very extravagant Gatsby Type collection. These invites will have your guests giddy with excitement at the thought of attending what is set to be the event of the year! To celebrate the launch of LOVELI’s brand new bespoke service, Lianne is offering one lucky reader the chance to win a £100 gift voucher towards their very own bespoke stationery. ‘My Way’ allows all of the Studio Collection ranges to be completely personalised with your perfect colour palette, great for those wanting a truly unique set of wedding stationery, without going completely bespoke. Simply browse the Studio Collection designs and decide which ‘the one’ for you is. Then for the fun bit, hit ‘MY WAY’ and take a look at the most popular wedding colours on the ‘My Way Colour Chart’ all of which have been tried and tested to ensure they look fabulous when printed. So for your chance to win £100 voucher to go ‘My Way’ with, simply enter below. For information on the above collections, colours, bespoke services and more, check out LOVELI and be sure to lets us know which one has caught your eye? Wow!I really like the look of those pink ones! They are lovely!